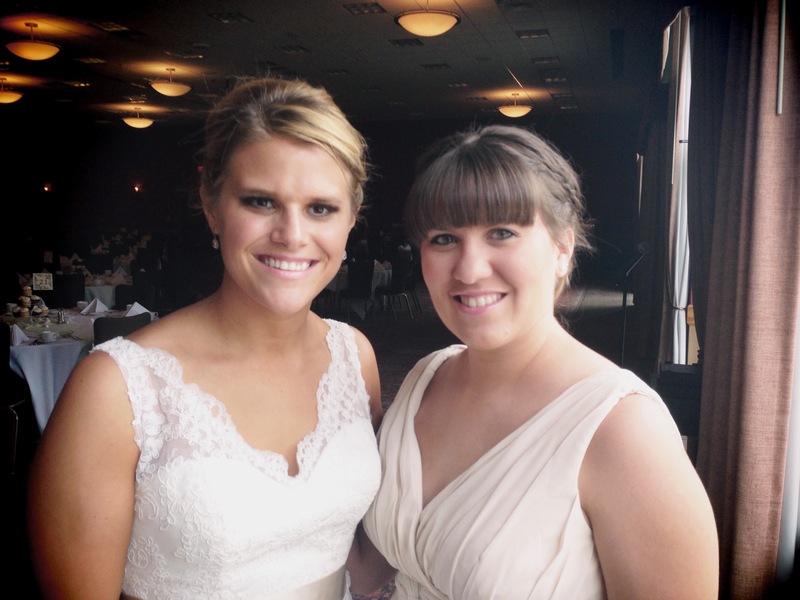 This past weekend I had the joy of being in my long distance best friend Kelly’s wedding. Weddings are my favorite, next to birthdays. It was a beautiful ceremony that took place at the Wilderness along with a great reception to follow. 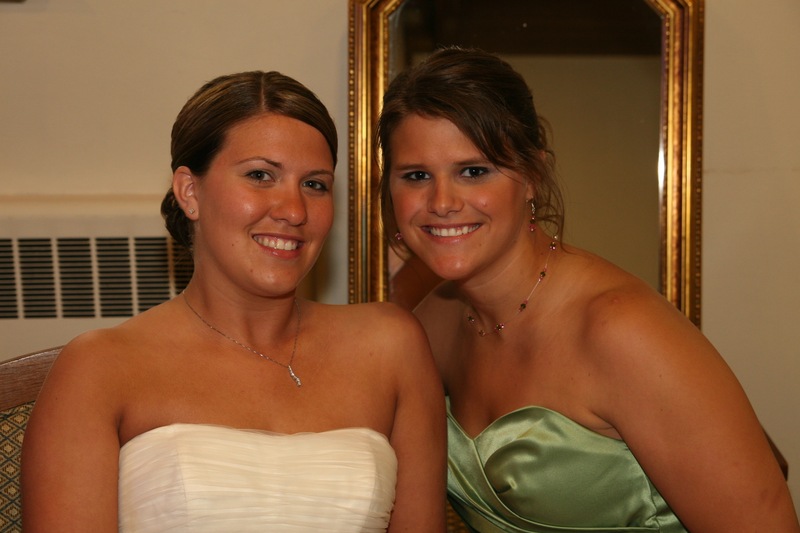 Kelly is the first friend with whom I’ve grown up with that I had the pleasure of being a part of their special day. It didn’t really hit me how long Kelly and I had known one another until I was watching the two of them have their first look. It’s been over 13 years since Kelly and I first became friends. Well, sort of. I have to admit that I hated her at first, but soon got over it once I realized how awesome she truly is. Throughout middle and high school we remained the best of friends. She was probably the only friend with whom I didn’t get into a girl fight with. We have always understood each other and been on the same page. Whether it was skipping Raz’s class, sharing lockers, staying up late, going to football games or me cheering her on from the sidelines, Kelly has always been that one person who will be there for you whenever you need it. Upon graduation Kelly went to Minnesota for school and volleyball while I headed to Whitewater to pursue my dream of becoming a teacher. Kelly found many new loves in Minnesota, including the place she now calls home with her new husband. Though Kelly and I were miles apart we still kept in touch via Facebook, and AOL Instant Messenger. We had another connection too, her cousin Brittany become my friend (we too hated each other) since we both went to Whitewater and she frequently needed rides home. Kelly made it through school far sooner than I and spent a lot of time playing volleyball. Sadly, I will admit that in the five years since distance has has separated us we’ve only been able to see one another around the holidays. We both live very busy lives, but thanks to modern technology we’ve been able to keep in contact. She served as a bridesmaid in my wedding and I was beyond thrilled when she called to tell me she was engaged. Love is something that I believe in from the depths of the earth and knowing that two people can have what I have brings me lots of joy. As I watched her get married this weekend I remembered all those times we spent together, crying laughing and being silly. Chais is a great guy and I know that the two of them have enough love to last a lifetime. Though we aren’t 13 anymore and there are about 365 miles separating us on a daily basis I know that she’ll always be my friend. She’ll answer when I call, dry my tears when needed and make me laugh again and again. I’m extremely lucky to have such a lifelong friend in Kelly and can’t wait to see where our lives and mothers and wives take us. It’s so strange to start seeing all your friends getting married. I was the first so to finally be on the other end makes me very nostalgic. We start growing up and the moments we’ve shared as kids are just distant memories. It’s these times that remind me how lucky we are to have the people we do brought into our lives and those chapters in our books with one another. Lots of love to my newly married long distance BFF. Awww I love you Allie!